WILLEMSTAD – On May 22 of this year, the order for the detention of the former Prime Minister, Gerrit Schotte and his life partner Cicely van der Dijs, were extended with 8 days as is prescribed by law. Both Schotte and Van der Dijs have been presented to a magistrate, who assesses the legality of the continuation of their detention, which is required by law. Regarding Van der Dijs, the magistrate noted that one of the interrogating detectives indicated to her that her detention was going to be extended by one day. In the light of the confidence that such a statement may generate, it’s the opinion of the magistrate that continued detention is unlawful and therefore Mrs. Van der Dijs immediate release was ordered. With regards to Gerrit Schotte, the magistrate will make a decision on the legality of police custody by May 26. 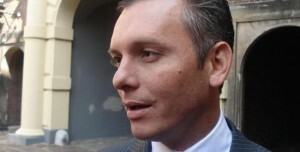 Until then, Schotte will remain in detention.